Reflecting on this comment made to us by a client recently, the following thoughts came to mind. 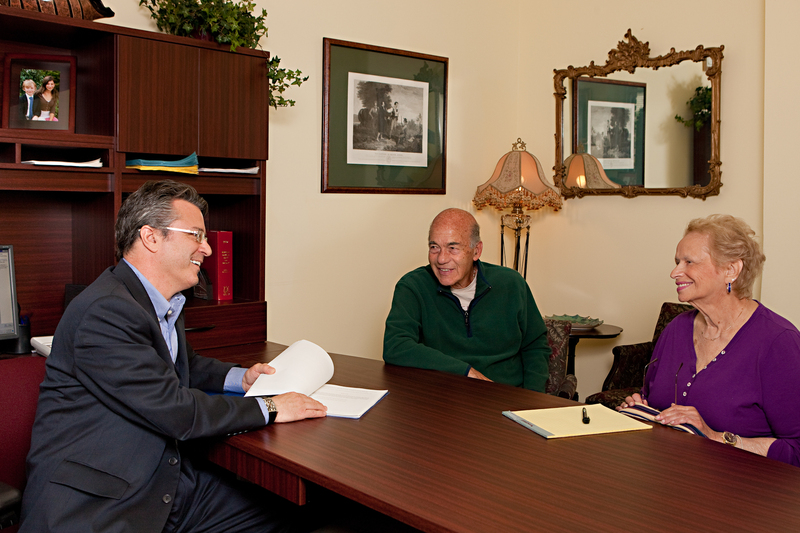 What do we actually do at Ettinger Law Firm? All we do is save our clients a lot of time, many thousands of dollars and the not so petty annoyances they might otherwise have in settling their family’s affairs on the death of a loved one. We help them reduce or eliminate taxes on the estate so that more passes down to help their children and grandchildren. These days, we also protect the inheritances our clients leave so that it is not lost should the heirs get sued or divorced and, better yet, we assure them that their wishes will carry on for decades after they are gone, by passing the inheritance on to their grandchildren one day. Should disability occur, our clients have had their assets protected years earlier through asset protection planning. For many who come to us in their hour of need, without preparation, we take on the burden of helping them through the Medicaid maze and help them save and protect much more of their assets than they ever thought possible. On the planning side, we talk to our clients about their hopes and dreams, despairs and disappointments. Then we craft a plan to reflect the client’s life and lifestyle, taking into great consideration the needs and feelings of the heirs and how it will be received. We are thoughtful to avoid unintentionally hurting loved ones and creating rifts between them with well intentioned, but ultimately misguided, gifts and bequests. Yet none of the above good works were what the client was referring to with her causal remark that “you give lawyers a good name”. We also hold three to four seminars for the public each week where we invite hundreds of people to dinner at our expense and explain all they need to know about elder law and estate planning, providing professionally prepared materials for them to take home and study. We maintain a 150 page website for their further research and review, together with an online video seminar to watch if they wish. Then we invite every person, regardless of their means, to come into our offices and spend up to an hour with us, free of charge, where we share the vast knowledge, experience and insights we have gleaned in over twenty years of exclusive practice in this area. We also analyze and critique their current planning, letting them know where they stand, what to do and why. Finally, we advise countless people each day, week, month and year that they do not need our services, that they are fine for the time being with the plan they have and can afford to wait, when they would be better off doing their planning with another firm, and then refer them to one with more expertise in solving their particular issues. For clients who do need us, we search for ways to achieve their goals with the least expense possible. Clients see that we derive as much satisfaction from telling them that they are fine, that they do not require our services, as we do when our services are needed. Clients see that we are just happy that they took the time to come in to see us. And when clients see that we are on their side, that our true purpose is to serve them without regard to ourselves, then they say “you give lawyers a good name”.